Similar to photos. Terrific investment property! 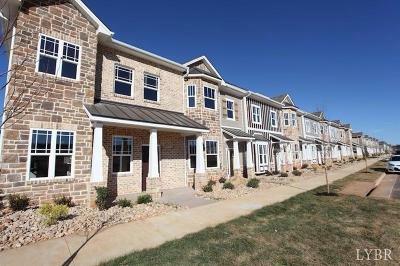 Craftsman style luxury town home in Cornerstone! Exterior finishes of rock, brick, board & batten and vinyl. Great open floor plan with the family room opening to the dining area & kitchen. Main-level has beautiful hardwood laminate flooring throughout & 9 foot ceilings. Gorgeous kitchen with breakfast bar, granite countertops & stainless steel appliances. Large master bedroom with private master bathroom. All bathrooms have granite countertops & ceramic tile. Oil-rubbed bronze hardware package throughout. Back patio is covered and has a nice-sized unfinished room for extra storage. Cornerstones amenities are hard to beat featuring a salt water pool, 25 acre Borel Park with walking trails, fire pit area, playgrounds & many common green areas. Walk to shops & restaurants & enjoy the high speed fiber optic network!